It’s the week before your dream destination wedding this summer. You’ve booked a spectacular seaside venue out of town for the ceremony. You and your fiancé have gone ahead to prepare for your rehearsal dinner. And now, in a couple of days both sets of parents, the wedding sponsors, best man, maid of honor, and the rest of the entourage will be driving over as well. Time to panic? Not at all! It’s time to put together delightful “goody” beach buckets to welcome your arriving guests. 1. Select a pretty summer color palette: When considering the presentation of the buckets, let the beautiful colors of a summer beach serve as your inspiration. Plus, color immediately sets the tone of your gift. Think of aqua, sea blue, or pastel blue accented with neutral tones of tan or brown. For our beach bucket, we chose a cheerful skyblue piece. 2. 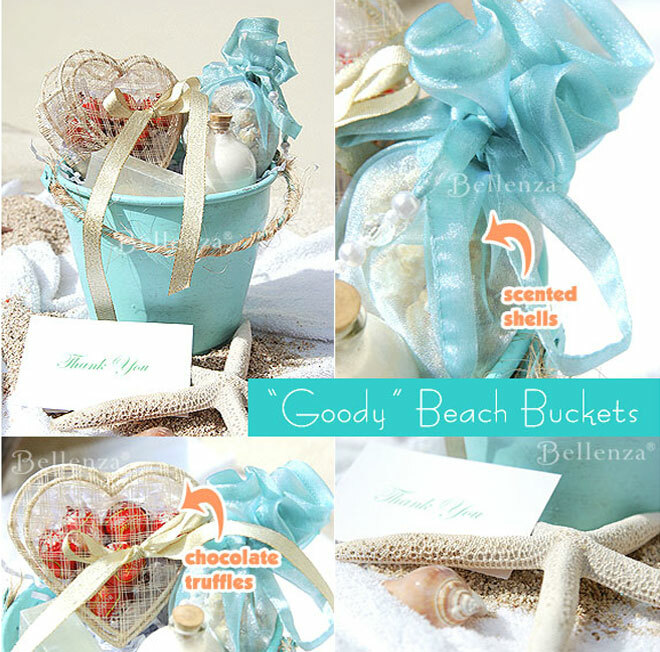 Basic bucket goodies: All of your gift buckets can contain standard treats like chocolate truffles in a woven heart box, scented seashells in an aqua organza wrap, a sea-scented bar of glycerin soap, and a bottle of soothing body lotion. Be sure to incorporate unique items that are also practical and reflect the theme and location of the event. For example, if the wedding is by Cape Cod, then consider putting in goodies such as saltwater taffy, Cape Cod Potato Chips, oyster crackers, and chocolate-covered cranberries. 3. Thoughtful add-ons: With your guests looking forward to lots of fun in the sun during their stay, you may want to toss in thoughtful beach necessities as well. Some sensible choices would be a face towel, sunscreen spray, bug spray, and a bottle of sparkling water. For some edible treats, add fresh fruit such as apples or bananas, crackers, trail mix, and an energy bar as tasty snacks. Some old-time favorites may include taffy, Lifesaver mints, and seashell chocolates. If the wedding is being held in a special tourist destination, you may also want to provide guests with local maps and brochures. 4. 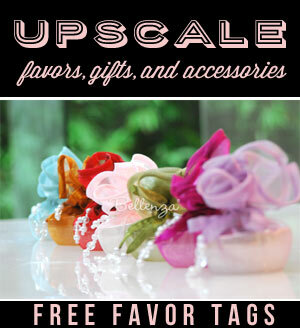 Personalized surprises: Now, here’s where your creativity and true graciousness come in! 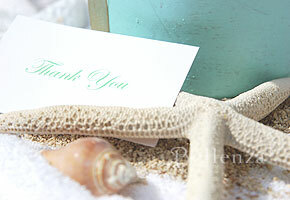 Delight each guest with a unique gift you’ve included in his or her bucket alone—a heartfelt way of saying, “We’re so glad you’re here to share our wedding day!” You may also consider placing a special handwritten note on a lovely note card with a beach motif. Tuck each card in the buckets for a lovely personal finish. – For Dad, it could be that bestseller he’s been meaning to read for years, but never found the time to enjoy. – For Mom, perhaps earrings made from local pearls or an elegant prayer rosary. – For an aunt who loves to cook, packets of special spices found in the area. – For the best man, a voucher for his first scuba diving lesson. – For each bridesmaid, different shell accessories such as a wristlet with a lovely shell brooch to remember this wonderful destination wedding. 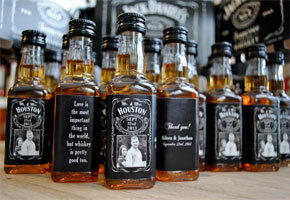 – For the groomsmen, you may give a bottle of tequila, shot glasses, and beach towels. 5. Where to present the buckets: You can present these goody buckets in several places: as a welcome gift in each guest’s hotel room (laid out on the guest bed with a thoughtful note), at the hotel lobby where the reception staff can formally greet each arriving guest with a gift bucket, or at the wedding reception itself on a gift and favor table. 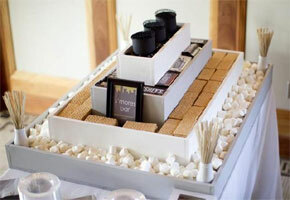 For a truly personal touch, they can also be personally hand delivered at the hotel by your bridesmaids or groomsmen. Once you’ve included all the goodies, finish your gift buckets with flair. All it takes is some twine around the handles, a ribbon in sandy gold, and perhaps a seashell or two. Tuck in a special note of thanks signed by the two of you, and you’re all set to welcome your guests! *This post has been updated as of 1/18/2018. This is a great idea, but I am having a hard time finding a bucket at a reasonable price. Also, not sure what size to order?? Please help! A great place to find really cheap buckets is from orientaltrading.com, which sells a variety of buckets from plastic to galvanized ones. They also offer a range of different sizes. Usually sold by the dozen. You can also try discount stores such as the 99cent store. Craft stores might also have them such as Michaels, Hobby Lobby, or even Walmart. I love what you have to offer. I am planning on your Goody Beach bucket idea. But where do I find these buckets and how big are they? Hello Trudy! The buckets we had used were about 8″ in diameter and about 6″ high. You can try stores such as Walmart or even places such as eBay, Oriental Trading Company, or Windy City Novelties, which sell them by the dozen at a relatively cheap cost. Flea markets are also great, which is how we bought the one used in our example. I think this is a wonderful idea even if it’s not for a destination wedding. In fact, you can use the buckets as centerpieces! These buckets are cool even if you’re not planning a destination wedding. In reality, they are a wonderful alternative to using fabric totes which you see everywhere nowadays. Adding something unexpected and even original can make an impression. I once went to a wedding shower where galvanized steel buckets were used as table centerpieces with a nautical motif to them. They were decorated with raffia, sand, and star fishes. A number was painted on each bucket. Lastly, the buckets were filled with cello bags of seashell-shaped chocolates for guests. It was a stunning presentation! What do you guys think? Is a tote more practical? Or is it too common? I was reading about the pros and cons. Super cute gift ideas. This is such an awesome post. I would love it if you would share this post at our WIW linky party. Hope you can join us! What a sweet idea! Thanks so much for linking up at Link It or Lump It! So nice of you to stop by, Erica! This idea is so easy and versatile, too. We’ll surely be linking up to your Party again soon!